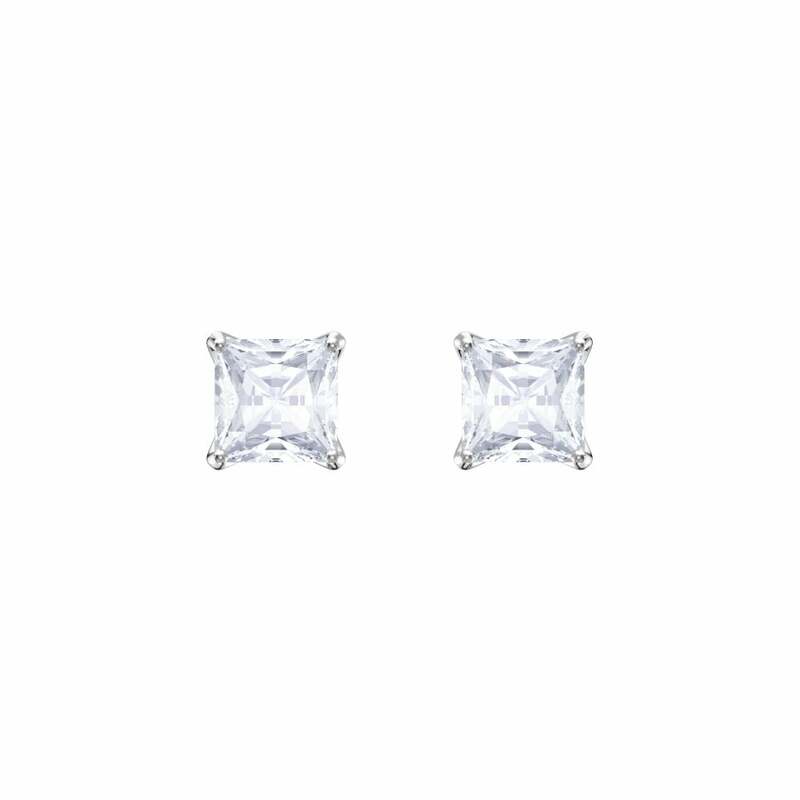 A classic Princess cut earring from Swarovski. Simple enough for everyday but exude elegance for an understated look. Clear crystal set in rhodium plated metal. Ultra modern simplicity, yet timeless sophistication. A perfect keepsake gift.